The manufacturer-dealer business model offers significant opportunity for manufacturers to deliver products, services, and support that meets customers' exact needs and specifications while expanding their market reach. Epicor Dealer Network Portal is specifically designed for manufacturers who sell or service their products through dealers, to more easily quote orders, manage sales, track inventories, manage warranties and recalls, and provides dealer self-service to their account history all from their ERP system. The solution enables customers to create a single, online website to automate and streamline their dealer activity. 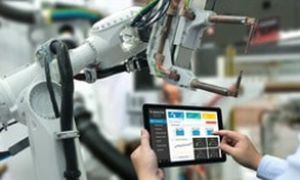 The latest version of Epicor ERP (10.2.300) is designed to help manufacturers differentiate their brand to stand out by being the first one that utilizes the Epicor Kinetic Design Framework -- a design-focused, strategic initiative to improve the customer's experience with their software applications. With the introduction of the enhanced Home Page developed in the Kinetic framework, customers can create a personal layout and then switch it with another published layout or move from tab to tab for additional views, which support faster, more informed decisions through much greater visibility into their business at just a glance. Additionally, to help customers take advantage of the new features, Epicor University is now offering a cloud hosting option for ERP application help, as well as education courses with help search being powered by Microsoft Azure. These are designed to help remove the burden from customers' IT staff to maintain their own help or education environments. Contextual video help will also be available for several new functions of Epicor ERP, such as AP invoice entry, job entry, job tracker, purchase order entry, and customer maintenance. Epicor ERP 10.2.300 was released in October.